The game is initiated by tossing a few tasty tidbits into the coop. A hen will immediately pounce on one and run like mad. When she stops to try and eat her bounty, anywhere from one to six other hens will try to take it away. Hen #1 promptly takes off at a run, followed by the other birds. Since you’ve tossed more than one tidbit, however, the running hens are frequently distracted by the tidbit another hen has, and will make a sharp right/left. 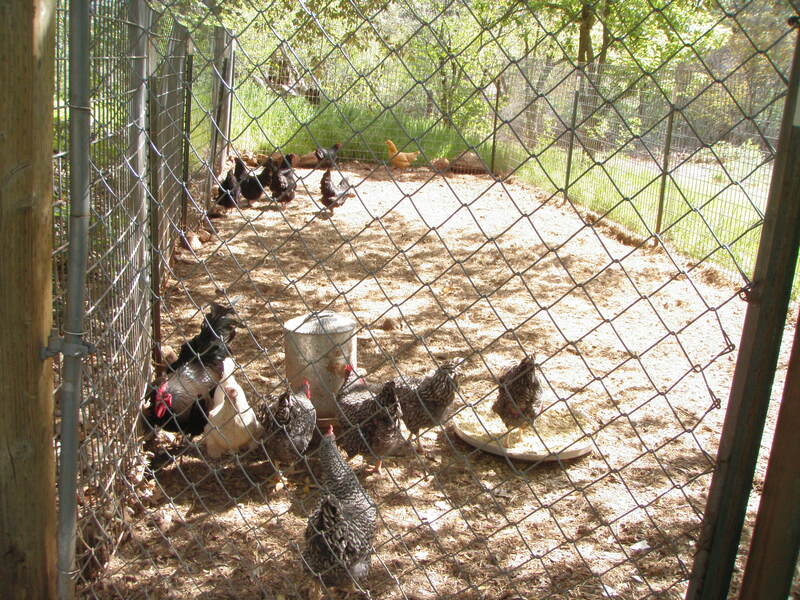 Hens carom off the sides of the pen, running into each other, dodging and cackling. Just about the time everybody settles down, a hen will discover a bite someone else missed and the mayhem starts up again. This game is a variation on the one from The Lion King, in which Timon (the meerkat) rides Pumba (the warthog) through the flock of buzzards that are about to dine upon Simba (the lion cub). At our house, there are no riders. 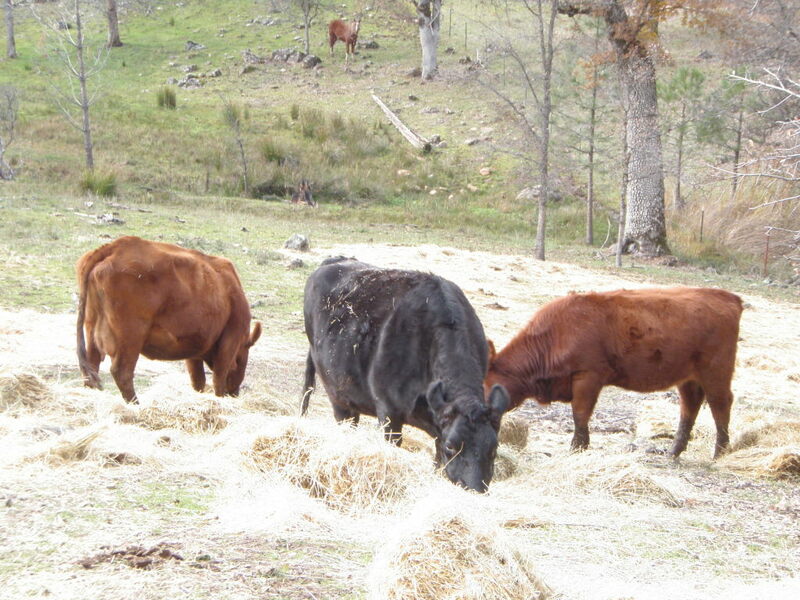 The game is typically played by the yearling and the heifer calf. The unhappy recipients of their attentions are the geese or wild turkeys, who have been placidly enjoying a little fresh green grass with the odd bug or two, only to be scattered in all directions by a hard-running quadruped. The birds usually take to the air, squawking imprecations in Goose or Turkey. The geese are smart enough to head for the pond, but the turkeys (not the brightest bulbs in the box) usually land within range and have to endure at least one more assault. This one is played exclusively by Ruby, the Angus heifer. Our sheep tend to regard fences as momentary distractions rather than barriers. As they move across the middle field where Ruby makes her lair, she will stalk them. 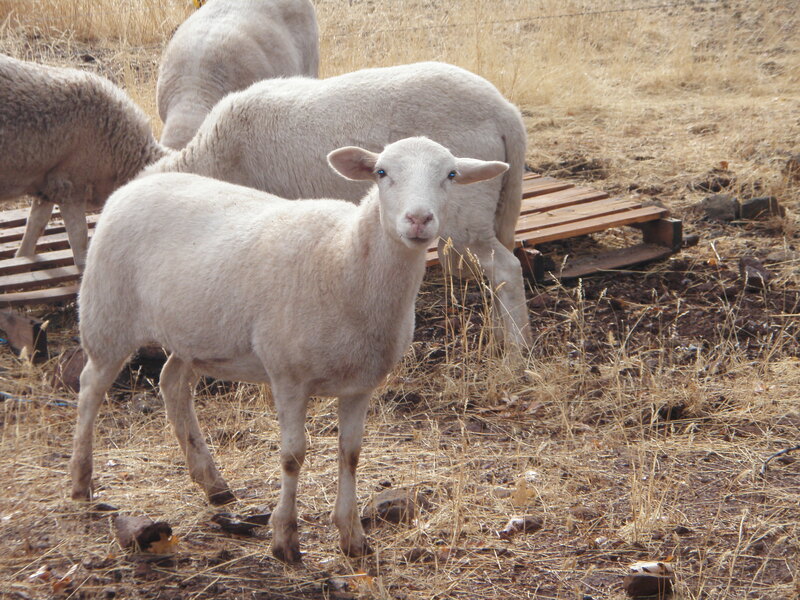 Sheep are relatively easy to herd if you can keep them in a group, as any sheepdog knows. Ruby makes ever decreasing circles, until she has the flock well bunched. At that point, she switches games to Bowling for Sheep, charges through the band at full tilt and sends them baaing in panic. Then she goes off and eats grass for a while until they settle down, at which point she starts stalking them again. All of the animals play this one, but it reaches its highest form between the yearling colt and his three-year-old sister. Just like kids on a long car trip, he nudges, nips, shoves and generally hassles her until she pins her ears back and chases him around the pasture. Meanwhile, his mother, who would otherwise be the recipient of his high spirits, manages to get some eating done. Baby pigs play this game for hours. It begins with one pig running in circles. Another joins in, then a third. For several minutes they run around like demons, swapping ends and leaping in the air. Then one leaps, falls over and lies still, followed by the rest of the gang. After a quick rest, they’re up and running again. The sheep are the only ones who play this game. It consists of two sheep squaring off face-to-face, backing up a few feet and then running at each other until they smack their foreheads together. Eventually one of them apparently reaches the limits of her pain tolerance, and goes off shaking her head to rattle what little brain she has left. I don’t need movies or TV; I have animals. This entry was posted in Farms, Uncategorized and tagged animals, buzzards, games, geese, horses, lion king, sheep, turkeys. Bookmark the permalink. I’ve witnessed chicken keep away and it is pretty entertaining. The others are new and sound pretty funny. I’d probably never get anything done if I had your cast of characters to watch every day. Denny, that’s the thing most city folk don’t understand. 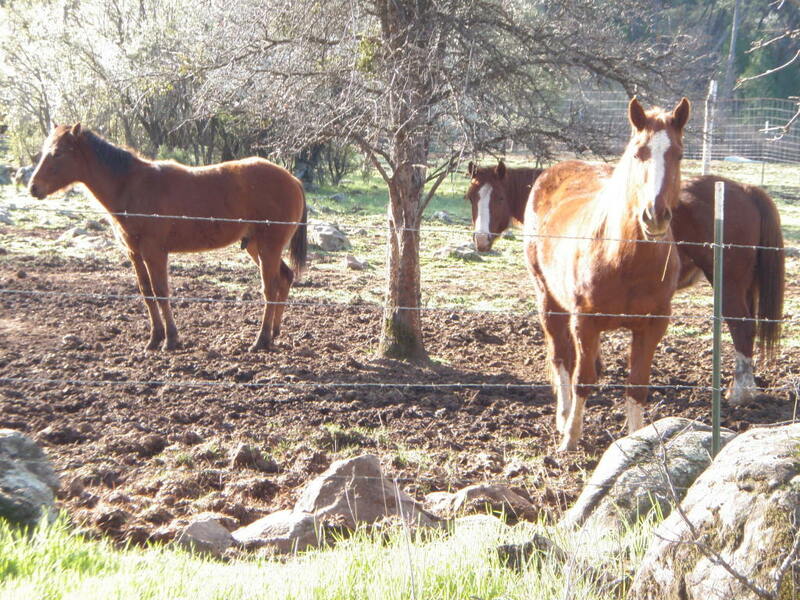 A lot of them think ranch work is sheer drudgery. But a good laugh and a five-minute break can sustain you for hours. 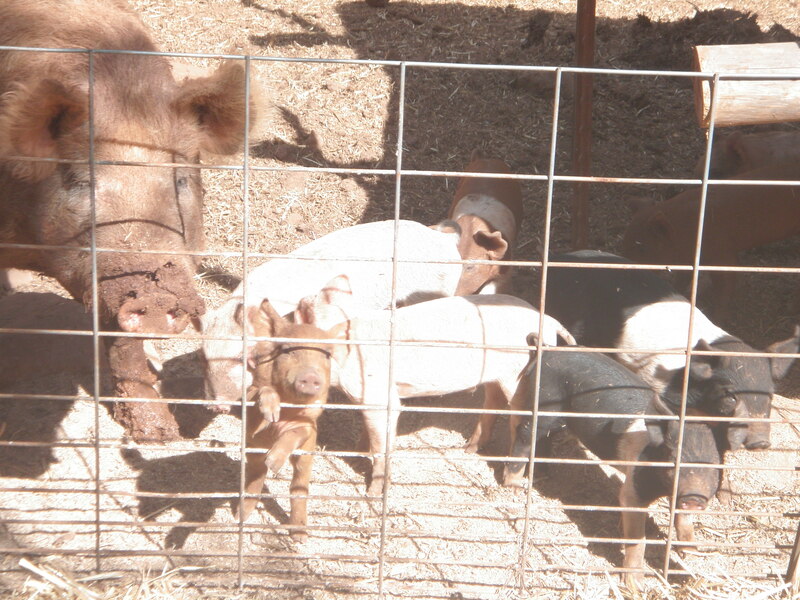 It’s like I say elsewhere on the blog: If you and the kids can spend 30 minutes or more debating the finer points of watching lambs vs. piglets at play… you might be a ranch wife.